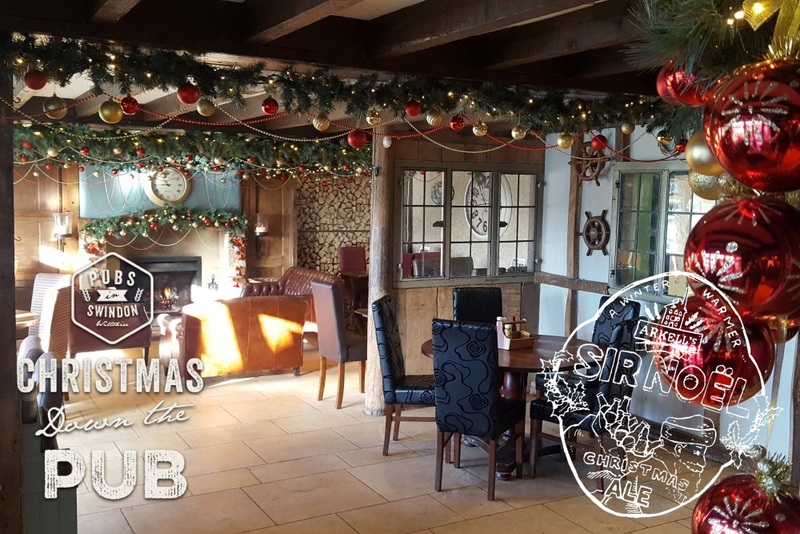 Dating back nearly 200 years, the exposed beams and friendly atmosphere provide a great deal of character, making it the perfect venue for Christmas. And we haven't even mentioned the landlord's famous mulled wine, yet! Step in The Sun this Christmas and you'll be greeted by a whole new look! 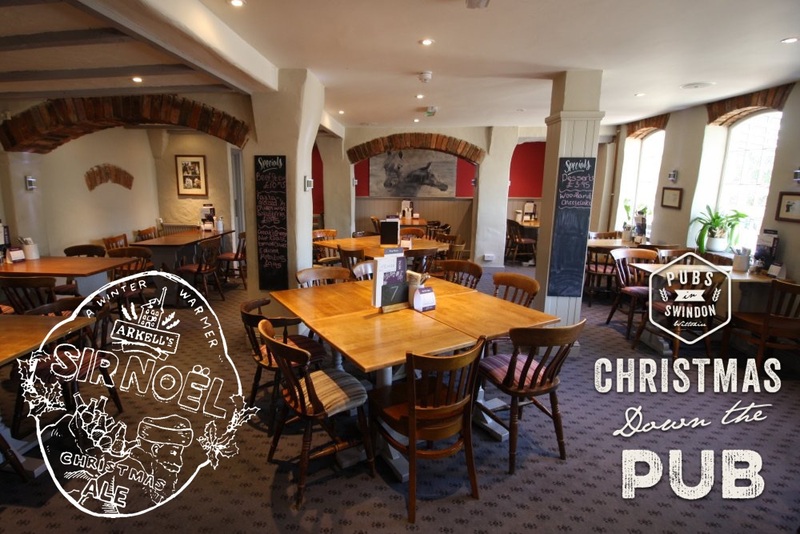 Add in a festive atmosphere that will match the top quality food and tipples, and you've a pub that's a gift for those looking for a warming lunchtime drinky or a full-on sit down do! 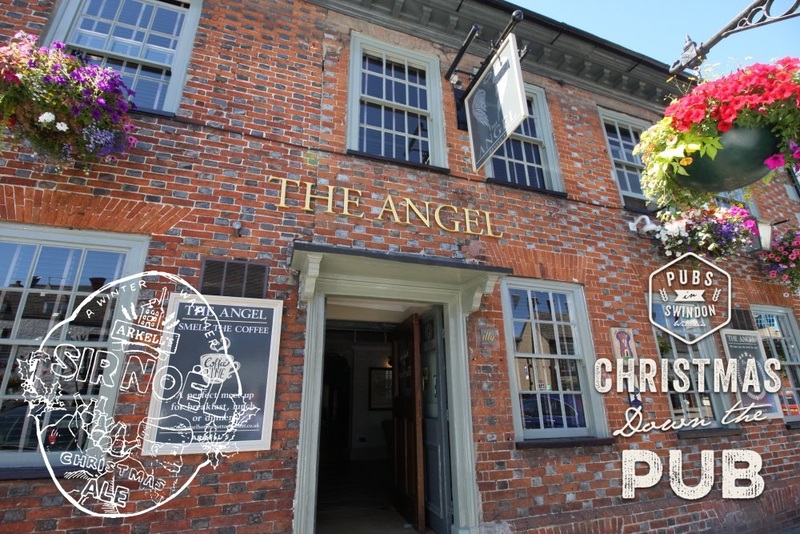 Newly refurbished, The Angel Hotel takes great pride in using locally sourced food (they've just won an AA rosette for their culinary excellence), and their Christmas menu this year is no exception. If you're shopping in Royal Wootton Bassett High Street, a real fire plus properly made coffee & homemade cake - or something stronger - also awaits! 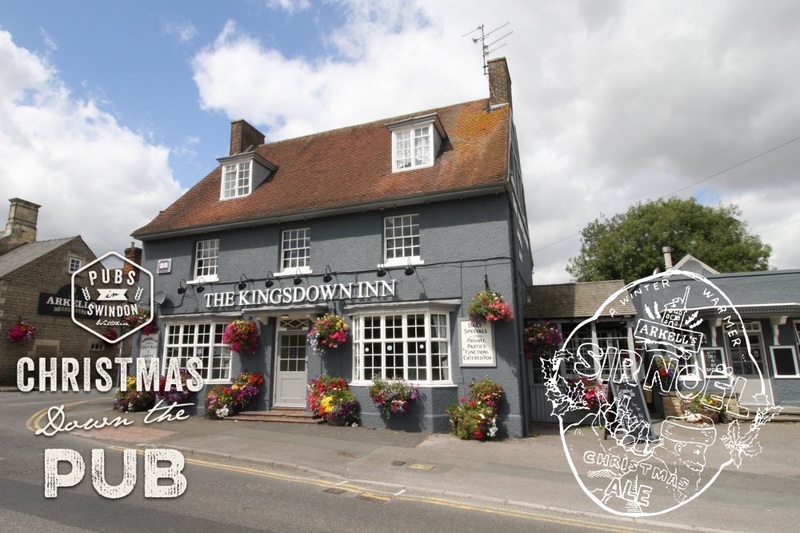 Located just a stone's throw from Arkell's Brewery, the perfect pint is always guaranteed at the 160-year-old Kingsdown. And at Christmas, Noel Ale, most appropriately, is very popular! Food-wise, a traditional turkey lunch with all the trimmings is also one meal they most certainly know how to serve. Although we'd like to recommend dining al Fresco next to the adjacent River Ray we might think that a little too chilly in December! Time for indoors then, and a dining room that's designed for mixing small and larger groups. 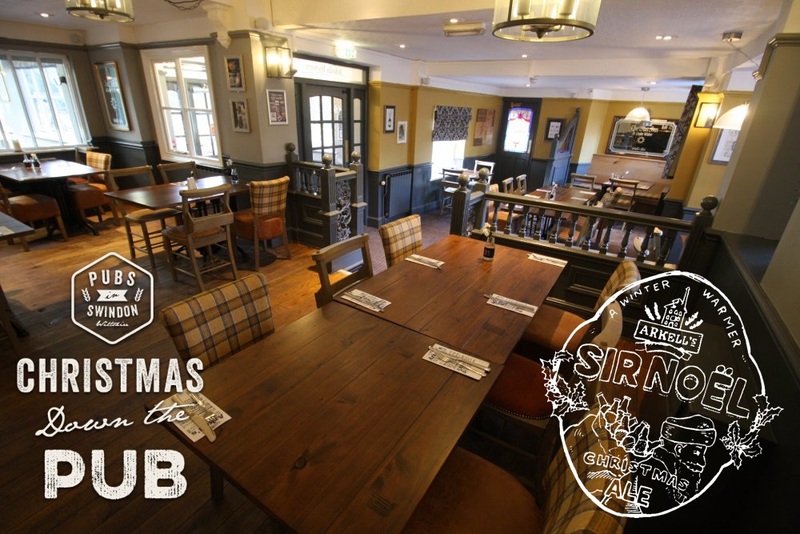 The adjacent bar is ideal for social drinks - and SKY Sports for the festive fixtures! 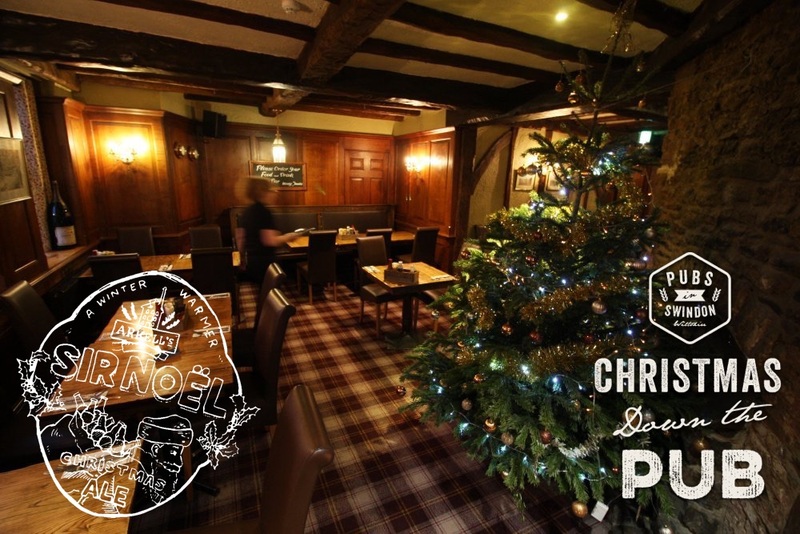 With a big roaring fire in the restaurant, The Riverside is one pub that's busy throughout the summer and winter. Their upstairs function room - often overlooked - is ideal for private bookings and larger parties. Dog friendly & perfect for an afternoon walk by the river too. Another pub that's well known for its generous portions, which, as you'd expect, makes it very much a north Swindon favourite at Christmas time. 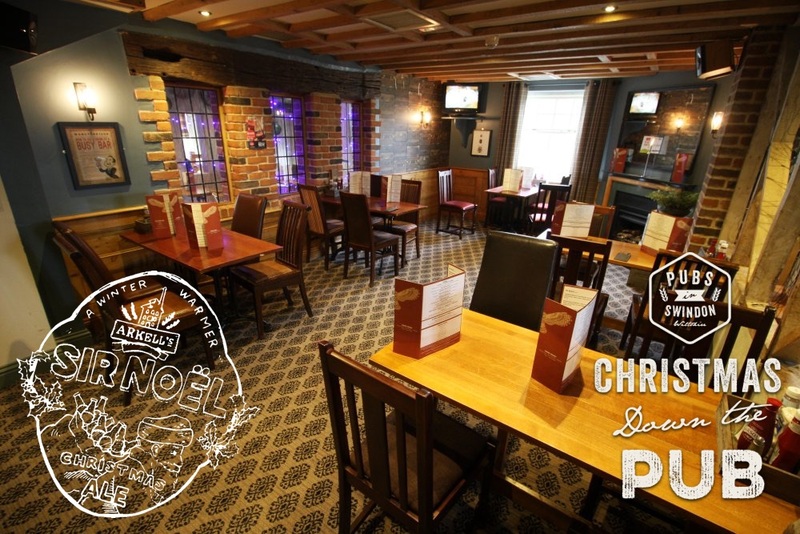 Expect to find plenty of options on the menu and always a good choice for office get-togethers at lunch time, festive family occasions and a party atmosphere in the evening. Great deals on fizz too!